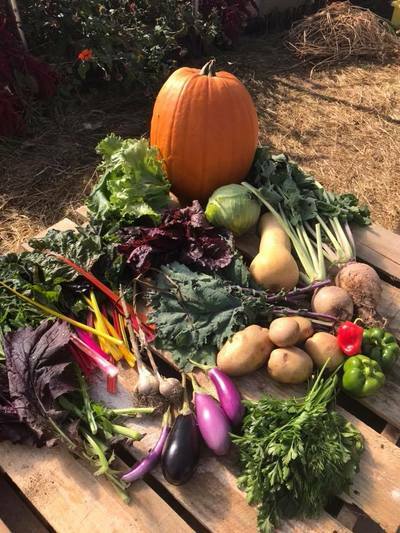 Become a 2019 CSA member of Seed Song Farm for a weekly distribution of fresh, local, seasonal, chemical-free vegetables, herbs, and you-pick flowers from the first week of June to the first week of November. 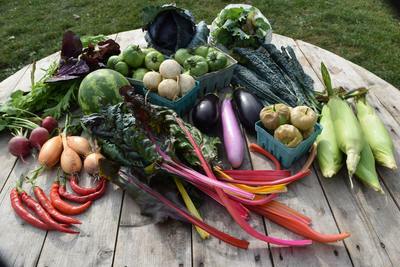 Subscribing to the CSA is by far the best value to purchase our produce. 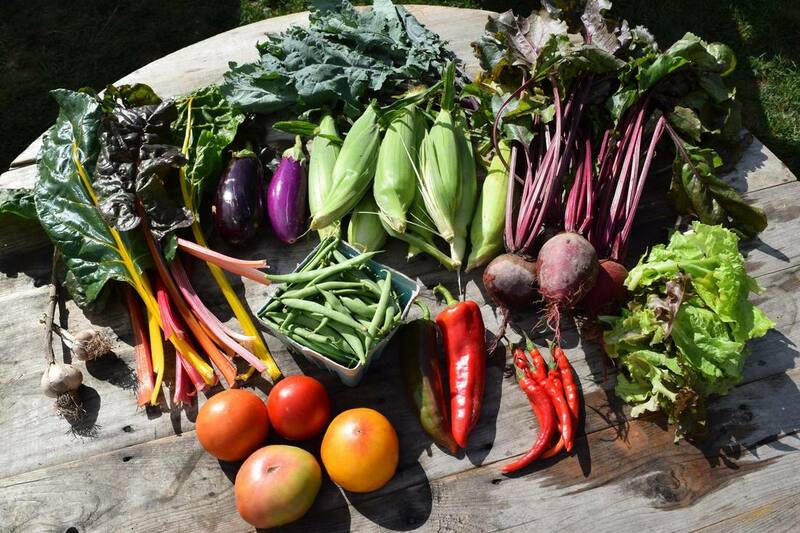 WE ARE NOW SIGNING UP MEMBERS FOR 2019 CSA SHARES! * As low as $12 per week! * Two pickup options- if you can't pick up one week, pick up at the other time, or send a friend in your place. * A farm visit every week - Visit our sheep, sit on our tractor, pick flowers, enjoy the views, and walk the farm! * Includes you-pick experiences of vegetables, flowers and herbs in addition to "vegetable units"
* Runs 23 weeks from Saturday, June 1 to Wednesday November 6. Inquire about less-than-weekly option. * Pay entire CSA fee up front OR choose an incremental payment plan option. * Discounts available to families with low income. 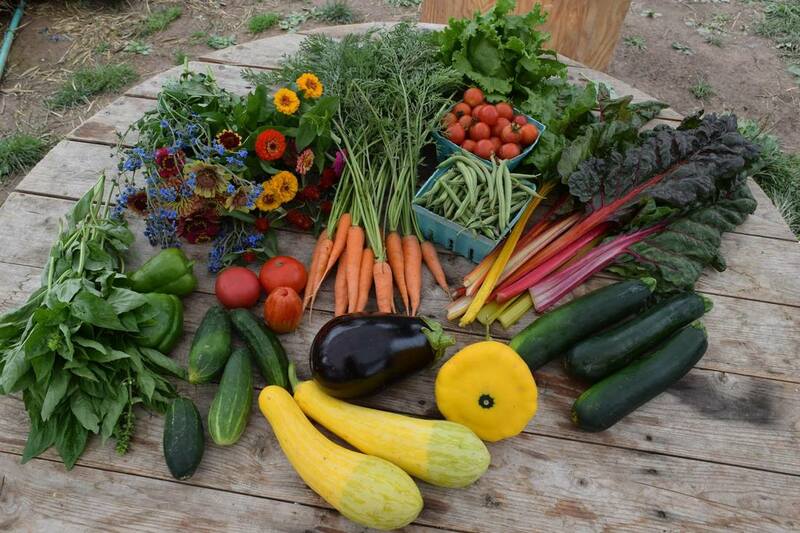 Contact info@seedsongfarm.org or (845)383-1528 to inquire. 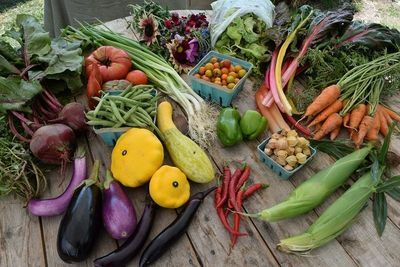 A "vegetable unit" is a farmer-defined quantity of vegetables such as 4-6 ears of corn, a bunch of carrots, a bag of salad greens, or a watermelon (scroll down to see photos of share offerings throughout the 2017 season). 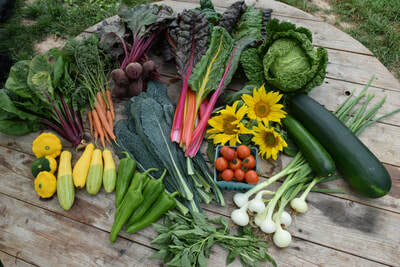 If you particularly love kale or some other vegetable, you can choose multiple units of that vegetable (typically there are 1-2 vegetables per week that are restricted to just one unit based on supply). 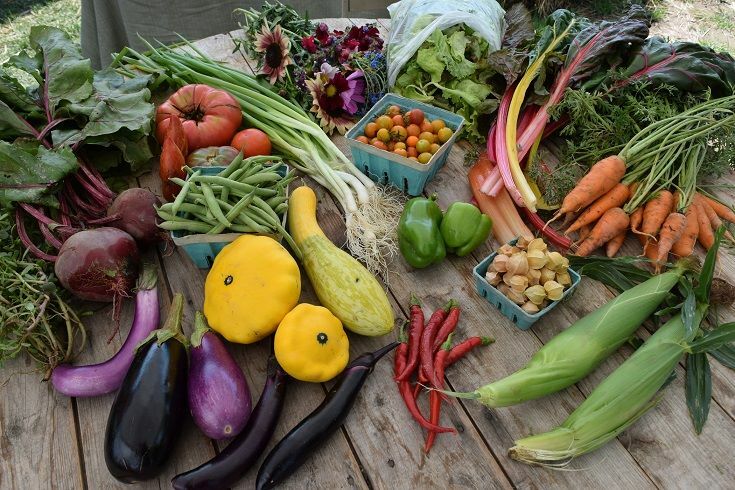 If you don't like a particular vegetable, you don't need to choose that vegetable at all-- though we hope that the taste samples and recipes at distribution will encourage you to experiment with new vegetables throughout the season! CSA members who pickup vegetables on-farm in Kingston will have the opportunity to pick their own vegetables, herbs and flowers in addition to the set number of "vegetables units" for each share size. 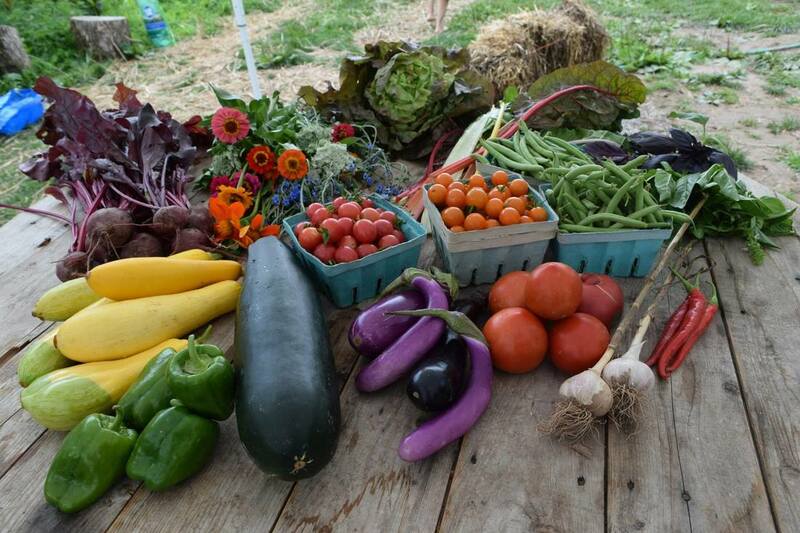 You-pick vegetables include peas, cherry tomatoes, husk cherries, beans, tomatillos, okra, basil, dill, cilantro, and parsley. We will be growing a wide variety of cut flowers for you-pick flower bouquets, such as sunflowers. 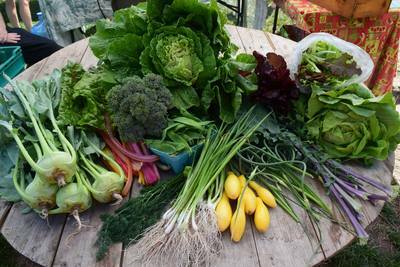 Most CSA shareholders pay the entire amount in advance early in the season when we have a lot of expenses and no vegetables for sale. You can also choose an incremental payment plan where you pay the full amount in two or more payments throughout the season. 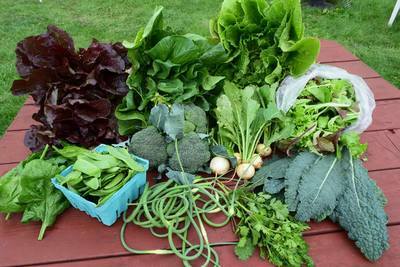 We also offer a limited number of shares with a discount of up to $100 for low income families. 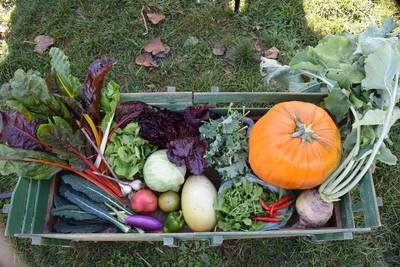 If you are interested in an incremental payment plan or a low-income share with up to a $100 discount, please email us at info@seedsongfarm.org or leave a message at (845)383-1528.
for various weeks throughout the season during 2017!